Want to discover more of the story behind Run Baby Run? Nicky Cruz is known by millions through Run Baby Run, the dramatic book and film of his early life, which told of his transformation from New York's most feared gang leader into one of the world's most famous and effective evangelists. 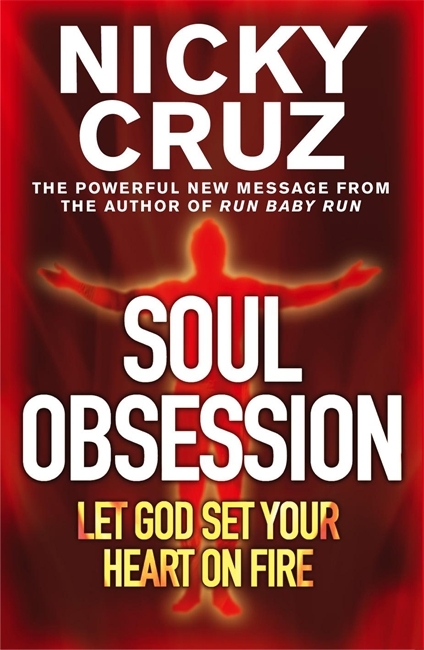 Soul Obsession presents a fascinating new insight into the Nicky Cruz of today. It tells stories of his family background and the people and experiences that have fundamentally shaped his faith and thinking, and explains how and why he is still totally devoted to God's calling. Nicky then asks whether YOU have what it takes to make a difference. Having a Soul Obsession requires: PASSION, for Jesus; MERCY, to see people through Jesus' eyes; and VISION, to know the purpose God has for your life. Soul Obsession is packed with miracles, passion, challenge and drama. It will excite and inspire all with a heart for Spirit-led evangelism. Soul Obsession by Nicky Cruz was published by Hodder & Stoughton in September 2005 and is our 13820th best seller. The ISBN for Soul Obsession is 9780340863336. Be the first to review Soul Obsession! Got a question? No problem! Just click here to ask us about Soul Obsession.